Although it’s certainly not a fad, the Mediterranean diet has become increasingly popular in the last few decades. By the 20th century, heart disease and diabetes had become major health concerns in the Western world. While searching for answers to these epidemics, researchers noticed that there were significantly lower rates of heart disease in the region surrounding the Mediterranean Ocean. The secret to health and long life turned out to be their diet — what is now commonly referred to as the Mediterranean diet. The people of this region have been following the same eating habits for centuries, establishing a strong basis for research into the heart-healthy benefits of their dietary lifestyle. If you’ve been spending time in hard at fitness clubs, making positive changes to your body and your health, the Mediterranean diet could be a good eating plan for you. The Mediterranean diet, unlike fad diets that call for strict calorie-counting, portion control, or the elimination of certain food groups, is more of a dietary guide, complete with a food pyramid. Unlike the Paleo diet, the bulk of the Mediterranean diet consists of plant-based foods — fruits, vegetables, legumes, whole grains, nuts and seeds, olive and other natural plant oils, herbs, and spices — consumed at every meal. Fish and seafood are eaten at least twice a week; poultry, eggs and other dairy products are eaten in moderation either daily or weekly; and red meat and sweets are consumed rarely – as little as twice a month. Even though it’s plant-based, the diet is not considered low-fat, but focuses on mono and poly-unsaturated fat sources, like olive oil. Many diets provide no proof of their health benefits, and even if they result in rapid weight loss, do no provide a solution to long-term weight management through healthy eating habits combined with physical activity at health clubs. Not so with the Mediterranean diet. Numerous studies provide evidence that following this eating plan reduces the risk of heart disease, stroke, type 2 diabetes, cancer, Alzheimer’s, and Parkinson’s disease. Olive oil, the star of this diet, is well-known for its ability to lower LDL (bad) cholesterol, and providing cancer-fighting antioxidants. Along with canola oil, certain nuts, and fatty fish, it also provides a vital source of Omega-3. With all this going for it, the Mediterranean diet is fully recommended by the American Heart Association, the CDC, and the Mayo Clinic, among others. While most people who adopt this lifestyle do so for the health benefits, studies have also shown that switching to this type of diet can encourage moderate weight loss, and obesity rates among populations who eat this traditional diet are much lower than in the U.S. 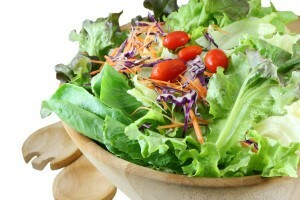 The diet also supports satiety with plenty of healthy fats and daily fiber. Since it provides plenty of healthy carbohydrates to fuel your cardio sessions at the fitness center, and lean protein to rebuild your muscles after a hard weight training day, you may find that the Mediterranean diet is a good ally in your fitness goals.